The Glimmerglass Festival's 2014 production of the world premiere of the revised version of Tobias Picker's "An American Tragedy." Please see beneath each photo for caption and credit information. The images on this website are made available to members of the media for purposes relating to The Glimmerglass Festival and its events only; photos may not be used for advertising or commercial purposes without the written permission of The Glimmerglass Festival. When using downloaded photos, please always include photo credit information. 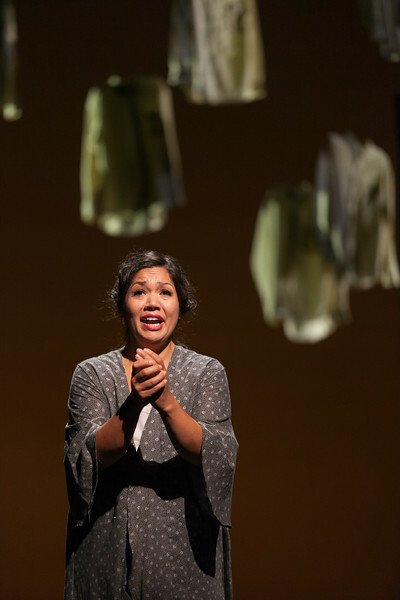 Vanessa Isiguen as Roberta Alden in The Glimmerglass Festival's new production of Tobias Picker's "An American Tragedy." Photo: Karli Cadel/The Glimmerglass Festival.